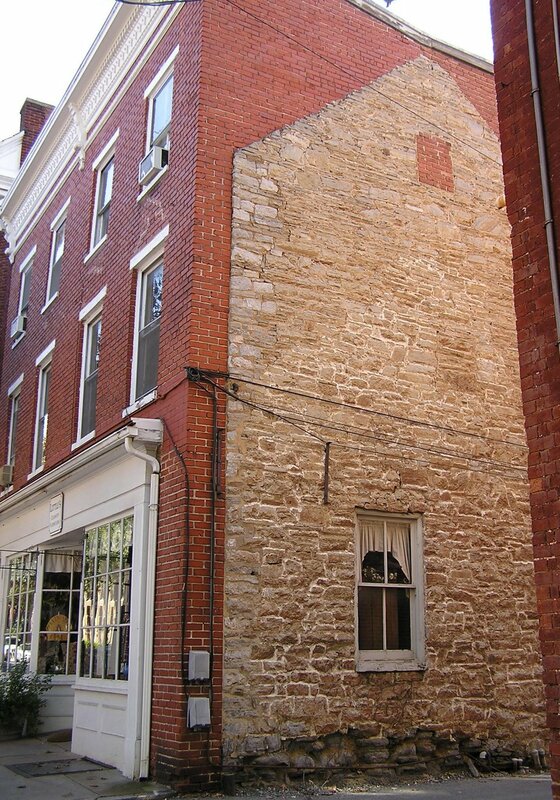 We lived in Frederick for one year, and I fell in love with that town. I was amazed at the old buildings in the downtown area and the fact that our church was used as a hospital during the civil war. 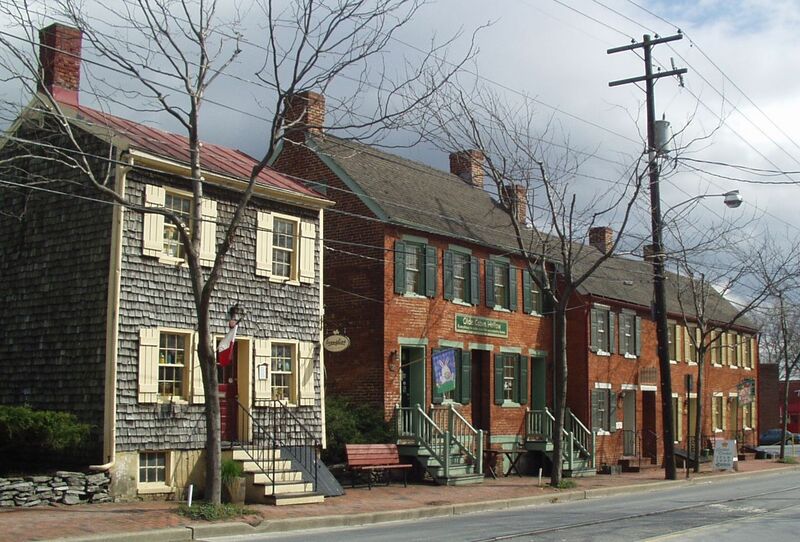 Set in a beautiful rural area full of winding roads, Frederick has been delightfully preserved. Incredible restaurants line Market Street and antique shops can be found on Patrick Street. South of Patrick Street is Carroll Creek Park. I really miss Frederick, especially the restaurants. We are planning a trip back to the area so I can visit some of my favorites like Dutch's Daughter and Isabella's Tapas Bar. 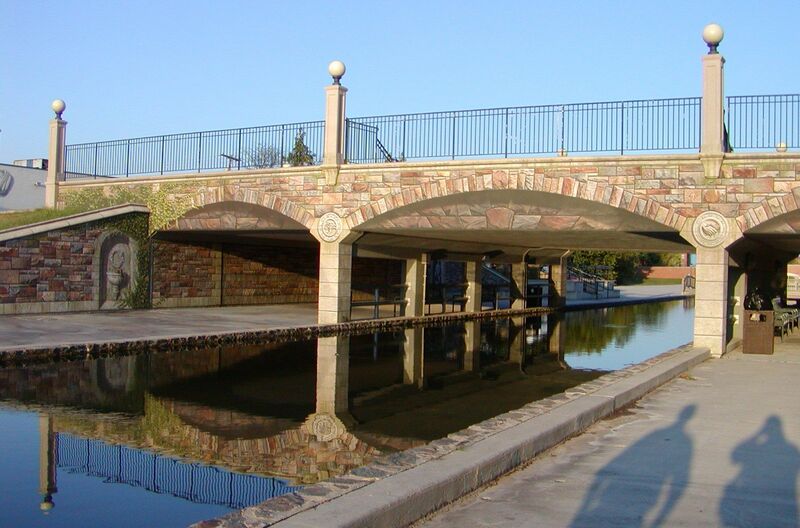 I also want to visit Carroll Creek Park, which has gone through a renovation since we've lived there. My favorite part of the park is the trompe l'oeil ("fool the eye") mural on the Carroll Creek Community Bridge. William Cochran transformed a plain concrete bridge into an incredible work of art. Whenever I visit the bridge, I find new details that surprise me. Thank you to Lowell Carpenter for the picture of the community bridge. I have more pictures of Frederick posted on Flickr and a slideshow on YouTube.